he film Blow the Earth in Japan. Roger Turner grew up amongst the Canterbury musical life of the 1960s with a strong broad jazz root. 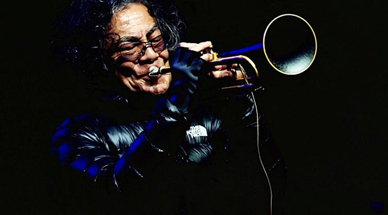 His first formal performance in improvisation was in duo with Chris Biscoe for the British Council, Brighton in 1966. He moved to London in 1968 and worked with the Ghanian drum ensemble Mask and toured with the experimental and innovative Ritual Theatre. Since 1974, he has primarily concentrated on opening the way to a more personal percussion language. Extensive solo work followed (including concerts at the Bracknell Jazz Festival and the Bruxelles Festival of Percussion) and he was also granted two Arts Council bursaries (1980 and 1983) for investigation into percussion and electronics. It was during this period that he recorded his solo LP The blur between, though it focusses on very specific aspects of percussion and certainly does not represent his wide current interests. In 1984 and 1985, he undertook workshop residences at Alan Silva’s Institut Art Cultur Perception in Paris. In the same period, collaborations with experimental rock musics and open song form included extensive duo work with Annette Peacock (1983-1985) and recordings with post-wave band The Nose Flutes (1986-1987). Roger Turner has worked with numerous jazz-based ensembles including those of Elton Dean, Alan Silva and Lol Coxhill. Music making with European and international improvisors in ad hoc and group collaborations has over the years included Toshinori Kondo, Derek Bailey, Trio’z with Carlos Zingaro and Tom Cora, Evan Parker, Cecil Taylor, Otomo Yoshihide, Shelley Hirsch, Joëlle Léandre; Keith Rowe; Wolfgang Fuchs and many others. Collaborations with film-makers and image projection include work with Martin Klapper & Chikako Oyama and music for dance includes work with Alexander Frangenheim’s concepts of doing (Stuttgart); Matthew Hawkins Company (London); Carlos Zingaro’s Encontros projects (Lisbon & Macau, China). 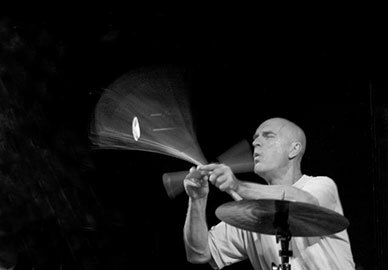 Roger Turner’s current main collaborations are The tradition trio with Alan Silva and Johannes Bauer; The Recedents with Lol Coxhill and Mike Cooper; Konk Pack with Tim Hodgkinson and Thomas Lehn; The Phil Minton Quartet with Veryan Weston and John Butcher; duos with John Russell and Phil Minton. Performances in major festivals have included: Edinburgh; Actual, London; Setubal and Avante, Portugal; CRIM, Pisa; Bracknell, England; Ulrichsberg and Nickelsdorf Austria; Kongsberg, Norway; Philadelphia Free Music; Taklos, Switzerland; Chantenay, France; Budapest; Berlin Jazzfest; Camden Jazz Festival, London; Vancouver; Victoriaville; Sound Symposium, Newfoundland; Banlieu Bleu, Paris; Vandoeuvre; Copenhagen Voice Festival; Macau; etc.